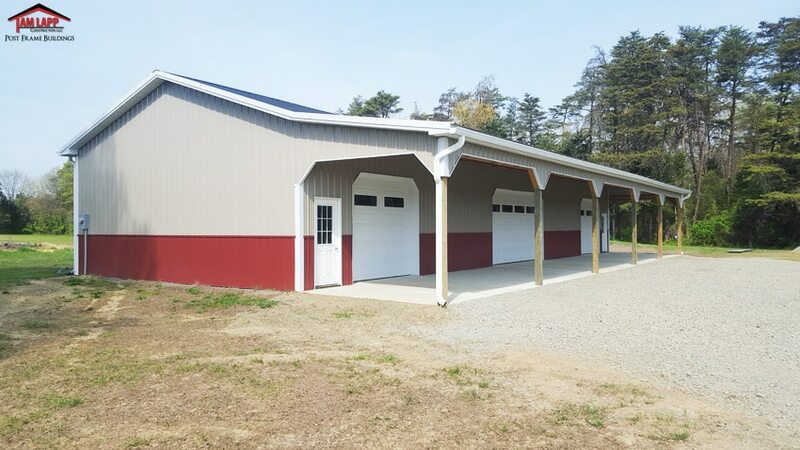 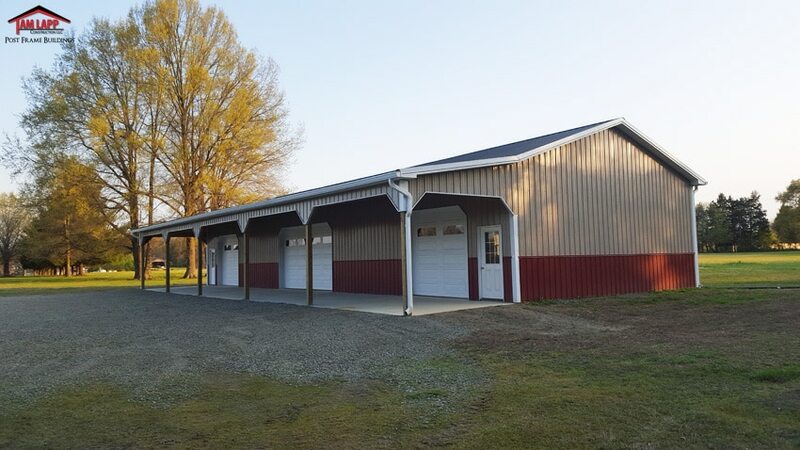 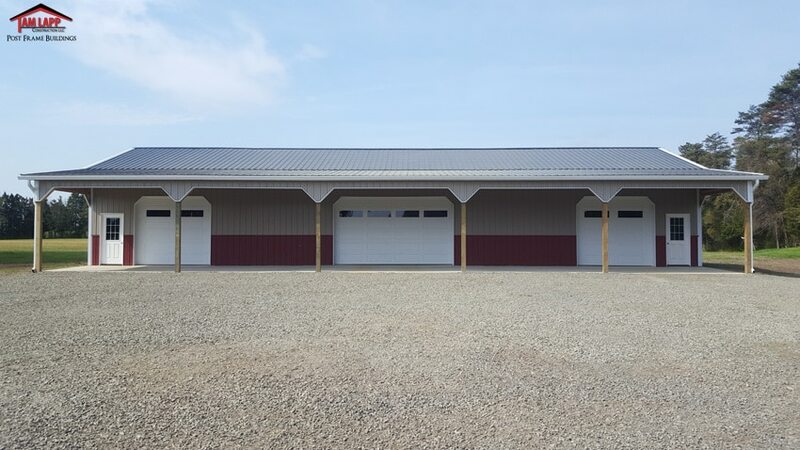 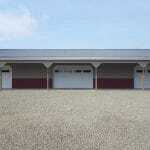 OPEN LEAN-TO SIZE: Width: 12’ x Length: 80’ x Height: 9’ – 2 Pitch Roof Attached to 80’ Roofline – 6’x6’ PT Posts w/ 2×6 Treated Y- Bracing w/ Steel. 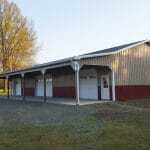 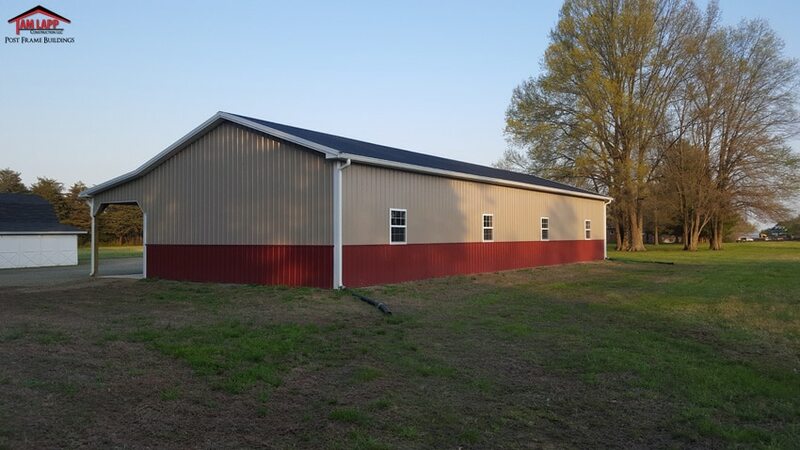 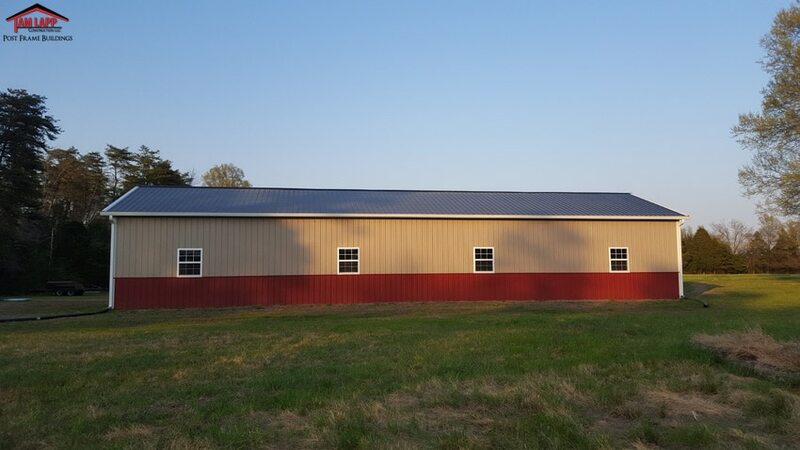 Roofing & Siding: Painted 29 GA. Steel. 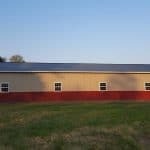 Insulation: Double Bubble (Foil/White) Roof Insulation. 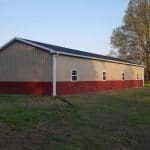 Entry Doors: (2) 3′ 6 Panel – Rot Free Vinyl Jambs & Molding.